Let us make sure that you always have enough credit for your applications and websites! We have made Jelastic even more convenient for you: just activate Auto-Refill and have your account automatically topped up every time it reaches a balance below EUR 1. 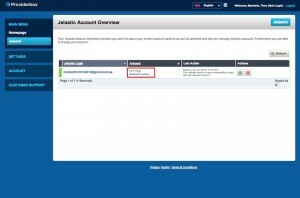 Auto-Refill is now activated for your Jelastic account. 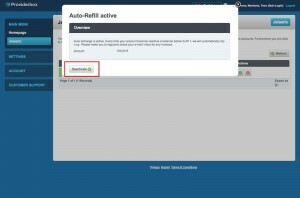 To check your settings, click “Auto-Refill active”. If you want to change the Auto-Refill amount, deactivate Auto-Refill and set it again.